At Premier Car Care I have a process that can get your vehicle bumpers back to a factory finish saving you time and money. 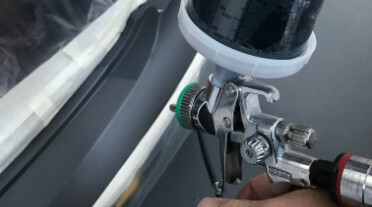 SMART Repairs is a series of cosmetic repair techniques that provide cost-effective, quick and environmentally friendly repairs to vehicles. The term “car detailing” has been widely used in America for some time but it is still not often understood in the UK. I can repair interior vinyl, leather and velour upholstery seats, carpet or door trims which have become torn, scuffed or damaged. SMART REPAIRS AND VEHICLE ENHANCEMENTS. Premier Car Care is based in Horden, Peterlee, Co Durham 2 mins from A19 and 15 mins from the A1. Meaning I’m ideally situated for easy access from and to the North East. 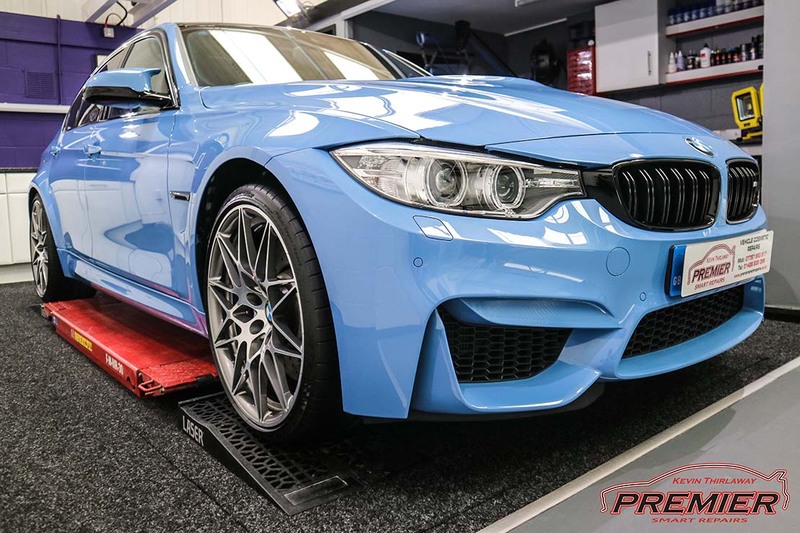 Premier Car Care provides high quality repairs to those unsightly and annoying bumper scuffs, paintwork scratches, cigarette burns, damaged alloy wheels, minor dents, tired and faded leather seats and many more. Each vehicle is repaired from start to finish by myself, using the best available materials and equipment, in a clean, controlled environment, to return your car to its’ original condition, in the most convenient way possible and all of this within the same day or within a 24 hour period. 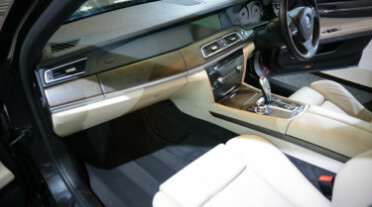 I also specialise in Vehicle Enhancements which include valeting and detailing on a professional level – my aim is to deliver a detailing service that is second to none. A service that is helpful, insured, professional, friendly and trusted. My aims are to give the very best for your vehicle in cleaning, correction, reflection and protection. Vehicles are evaluated on an individual basis thus ensuring you have the best possible finish available. Please note that no two details are the same. I provide a convenient and cost-effective way of returning your vehicle to it’s pre accident condition, or simply making your car look as good as you want it to (and possibly increasing its re-sale value into the bargain). A selection of my latest projects. Another happy customer. 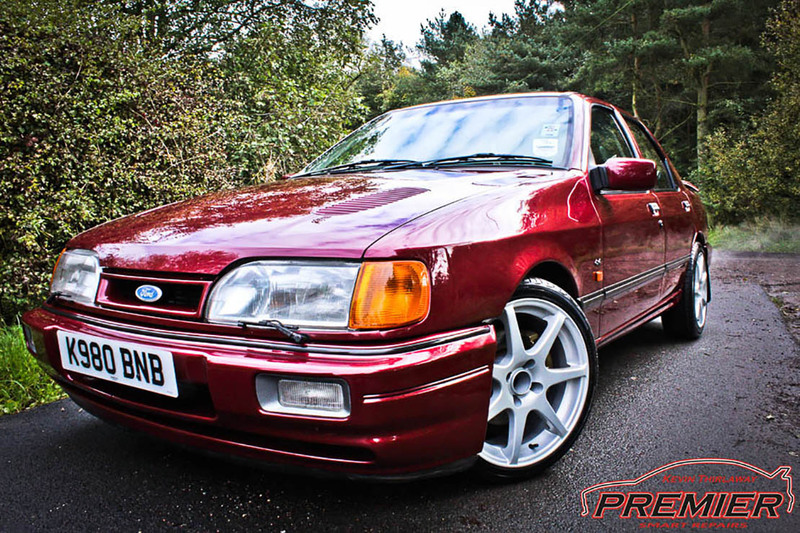 After reading the reviews left by others I chose Premier Car Care to repair my bodywork after a small bump. I was very happy with the repair work. Excellent customer service, fair price and fast efficient service. I would definitely recommend! My new Audi Q8 was delivered straight from the Dealership to Kevin at Premier Car Care, for a full Detailing Package.Six days later, my car was ready to collect … WOW, what a fantastic job Kevin had done on my vehicle, I thought my vehicle looked new when I dropped it off, but the finish Kevin had achieved was truly remarkable ! !This man is a true perfectionist, everything was fully explained beforehand, no pressure put on me as to how much detailing I needed, and the pricing was fully explained … no hidden extras.You may find cheaper, but I doubt you'll find a better finish anywhere else.I would not hesitate to recommend Premier Car Care. Very friendly, professsional and transparent. He gave great advice and did a fantastic job making a 6 year old car look like it’s just out of the factory! Took my car to Kevin for headlamp refurb. First class job done as arranged at very reasonable price. He's my go-to man in future!! Already recommended him to friends and family. Can’t express enough how good of a service Kevin delivers, his detail to perfection is second to none!!! The passenger seat on our Westfield was accidentally torn. I took the seat in to Kevin to be repaired and he gave me a detailed explanation about how he would carry out the work. I was a little worried about the colour match between the seats, but because of his attention to detail and high quality of finishing I need not have been concerned. It is an excellent job Thank you.Would not hesitate in recommending Premier Car Care. Fantastic job at a reasonable price, looks as good as new,would highly recommend. Believe all the reviews, this man is brilliant at his job. I thought I was a perfectionist until I met Kevin. He restored my XJ front bumper paintwork back to showroom condition. 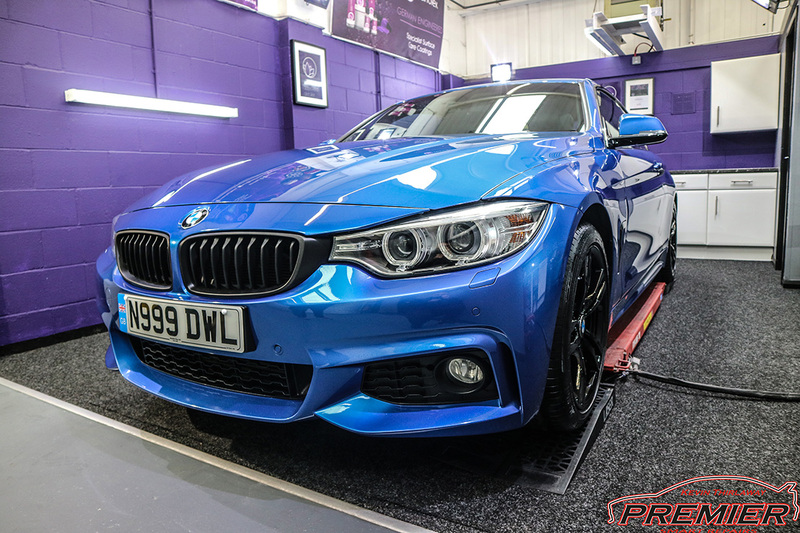 He also fitted Alloygators to my 3 year old scuffed alloys, a cheaper alternative to having my diamond cut alloys restored ... and now my alloys look as good as new, and no fear of kerbing them again.I would have no hesitation in recommending Premier Car Care and detailing to anyone. In fact my next new car will be going straight from the factory to Kevin for a full detailing job. Bumper looked like needed replacing on my Audi A5. Booked it in with Kevin and within 24hrs I had my car back and was better than new. The attention to detail and finish was fantastic. 5 star company, highly recommend! Could not recommend Kevin highly enough. He recently carried out a minor paint correction and detail on my XJ40 Daimler. I have taken my car to a few shows and always thought it was presentable I was wrong. After Kevin had completed his magic the paintwork has a deep shine with no swirls. The leather upholstery looks new in fact the whole car looks newer. If you are thinking about having your car detailed just do it you wont be disappointed. The guy is a magician. Everyone was telling me I had to remove the dash to replace the damaged trim, not Kevin though. What a job he did. The damage has disappeared and no dash removal!Thoroughly decent guy & would definitely recommend. Just wish I had some before & after pictures to show you. Wouldn't hesitate in recommending Premier Car Care. They have completed 2 repairs on my BMW and both were to a superb standard and reasonably priced. Many thanks Kev! I used Kevin for a repair to my seat, absolutely first class service and quality of work was exceptional. Would definitely use premier again. 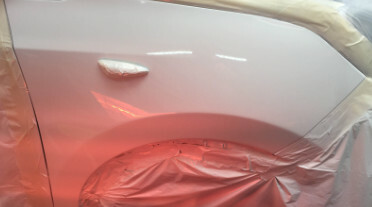 The detail is in the detailing...I needed a minor bodywork repair and decided that I wanted rid of the swirl marks that detracted from the appearance of my car. I booked an appointment and met Kevin, the owner. It was obvious from the discussion that followed that Kevin is very knowledgeable. He described the various options, processes and finishes available. I chose my option and booked my car in. Kevin went into great detail as to the work that was to be carried out and that it would take 10 days. Kevin sent me regular updates and when I came to pick the car up, I couldn't believe it was the same car. It looked better than when I bought it new. I took Kevin up on his aftercare offer to show me how to look after my car and I now know how to wash a car properly! I have no hesitation in recommending Kevin and his detailing service. Kev had my car for 5 days, and the transformation in those 5 days was breathtaking; i couldn't believe that a black car could have its' paint look so luxurious. And so shiny! Hes a professional in the truest sense, he makes sure that you get exactly what you want, he takes you through the processes and what it entails, and what your money will buy you. I'd recommend him to anyone. Did i mention how shiny it is?! Kevin provided great advice and helped select the best option. His workmanship was outstanding and the headlight and bumper scratches were undetectable. I would have no hesitation in recommending him and his prices are very competitive. Me and my family have used Kevin a number of times now and I can't rate him highly enough. Very professional in his approach and very knowledgable in what he does. Pretty much a miracle worker! He is also really honest in his work and if he said that something needs doing a certain way - it needs doing that way. Never out to rip you off like some companies would. His prices are very fair for the quality of work produced. Always kept me up to date throughout any work that I was having done. I wouldn't take my car to anyone else for any cosmetic repairs.